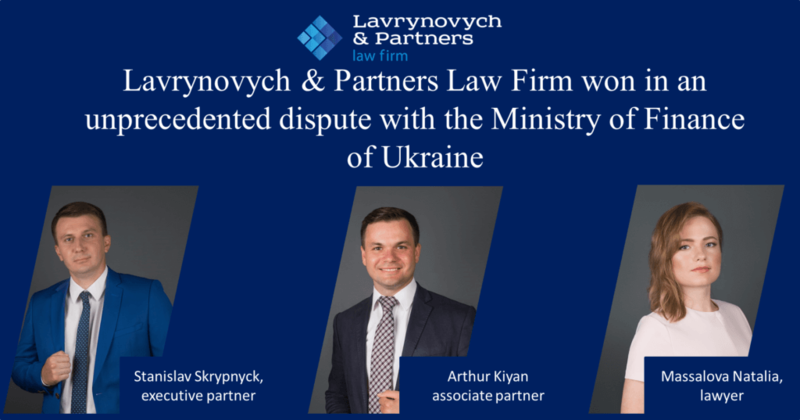 Lavrynovych & Partners Law Firm lawyers successfully defended the interests of the territorial community of the Boryspil district of Kyiv region in a court of appeals instance, proving that The Ministry of Finance improperly increased the amount of reverse subsidies for the local budget for 2018. According to the results of the trial, the Court of Appeal fully satisfied the complaint of the district administration, revoked the act of the court of first instance and ordered the Ministry of Finance to apply to the Cabinet of Ministers with the submission on the determination of a fair reverse subsidy in the amount of 55 645 000 UAH instead of 79 425 000 UAH. In the court, the interests were represented by lawyer Natalia Massalova, associate partner Arthur Kiyan, under the general leadership of the executive partner Stanislav Skrypnyck.